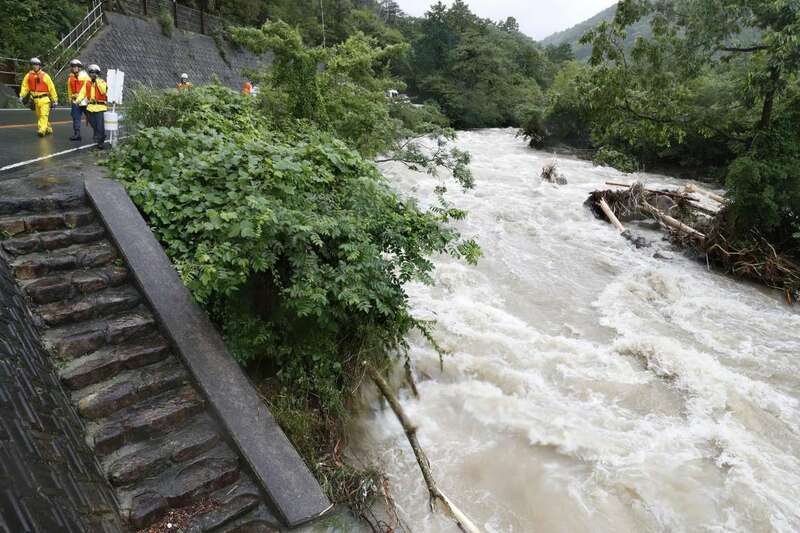 Japanese media say at least eight people have been killed and more than 50 are missing as torrents of rainfall and flooding continued to batter southwestern Japan. Kyoto prefecture, one of the hardest hit, says it's working to control flooding at several dams. It says 250 people had to flee their homes and identified one fatality as a 52-year old woman. Yamaguchi prefecture, another area hit by the heavy rain, has alerted people to heed evacuation warnings and act quickly. Roads are blocked in some areas, where warnings were issued on landslides. Among the missing are five people who got buried when housing collapsed in Hiroshima prefecture.